When it comes to aquariums, filters are essential. And, one of the most common types of filters is mechanical filtration. 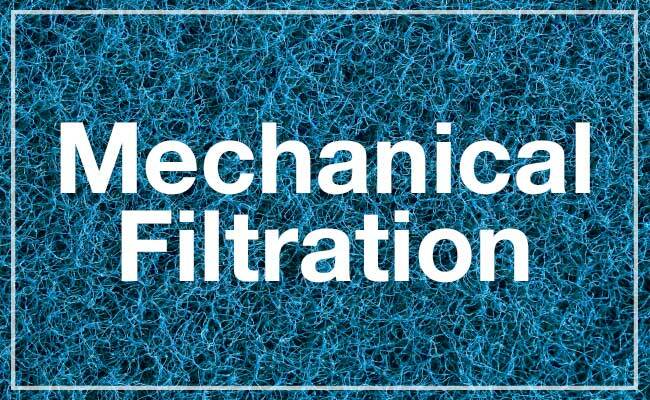 But what is mechanical filtration and why is it important in your aquarium? Well, today I am going to explain all that and more! 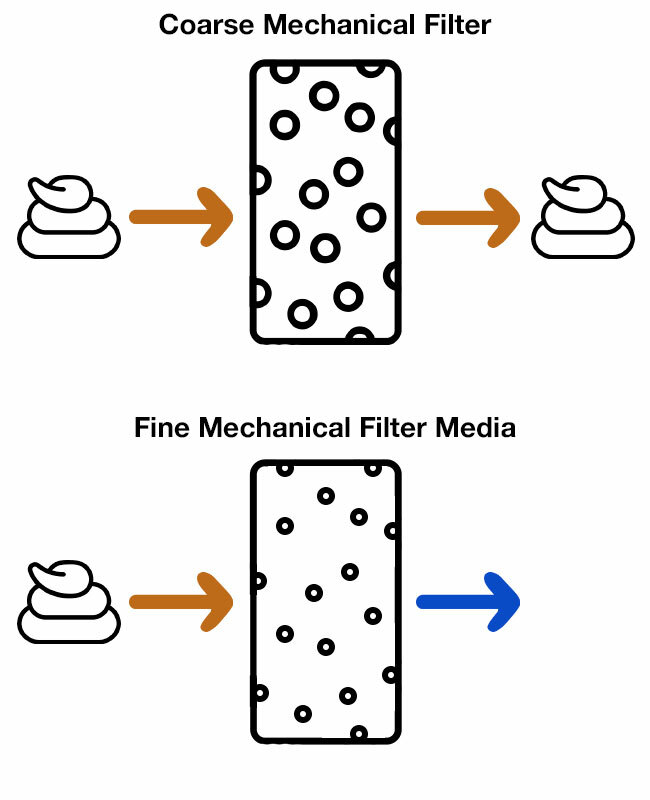 What are the different types of mechanical filtration? What are the best mechanical filters? Do saltwater aquariums need mechanical filters? Mechanical filtration is one of three different types of filters that can be used in your aquarium. The other two are biological and chemical filtration. Have you ever used a fish net? Water can freely pass through the net, but fish or other solid objects are trapped inside. Well, mechanical filtration works in a similar manner. The mechanical filter media sits inside your filter unit and physically traps and strains any solid waste that passes through your filter system. With the waste removed, clean water flows back to your aquarium. Mechanical filters are used to remove unsightly waste such as fish poop, sludge, uneaten food, dead pieces of plants, dust and other particles that are floating in your aquarium. If all this gunk builds up, the water in your aquarium would turn cloudy, and you wouldn’t be able to see your fish! In a freshwater aquarium, mechanical filtration is considered essential. Like all types of filtration, mechanical filters need maintenance. Over time, if left unattended, all the trapped waste will begin to rot, which can lead to a nitrate spike. Fortunately, this is easily avoided with proper maintenance – regularly cleaning or replacing mechanical filters prevents this waste from building up to problem levels. Fishlab Fact: Care should be taken when cleaning mechanical filter media. 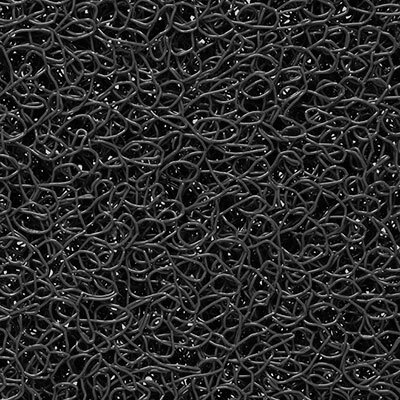 The same bacteria that are used for biological filtration happily live inside mechanical media. Using tap water or cleaning agents can kill these bacteria, leading to a spike in ammonia or nitrites. Mechanical filter media are graded according to the size of the pores (holes) that allow water to pass through. The coarser the filter media, the larger the pores. The finer the filter media, the smaller the pores. Waste that is pushed through a coarse filter will be trapped in a fine filter. If a fine filter media traps everything, then why would you bother with a coarser filter? Coarse filter media not only take longer to clog but are also easier to clean. This is in contrast to fine filter media, which clog quickly when exposed to large pieces of waste. And given that many fine filters need to be discarded after use, this can be a good way to burn through money. It is also worth mentioning that if the filter clogs, it can prevent oxygen from reaching the beneficial bacteria in your aquarium, killing them and causing your tank to crash. It is for this reason that you will often see coarse filter media used as a pre-filter, installed before a finer filter. This way, it traps the larger pieces of waste before they reach the fine filter media. This one-two punch prevents large pieces of waste from clogging your fine filter, while it works on trapping the particles of waste that were too small to be caught by the coarse filter. But you don’t have to stop at two. Many fish keepers layer multiple types of mechanical filters along with biological filters to create a truly customized filtration system for their aquarium. Fishlab Fact: Extra fine mechanical filters are sometimes called “polishers” because they trap every tiny particle that is floating in your aquarium, leaving you with crystal clear water. Also known as extra coarse, this mechanical filter media should only be used as a pre-filter to prevent finer filter media from clogging with large pieces of waste. While it can filter out slightly smaller pieces of waste than the very coarse filter, coarse media is still best used as a pre-filter. We have gotten to the point where the filter will make a visible difference to your aquarium. With a medium filter media installed, your water will look noticeably clearer, with fewer solid waste particles floating around your aquarium. If you really want to, you could get away with just using a medium mechanical filter in your aquarium – but don’t expect crystal clear water. 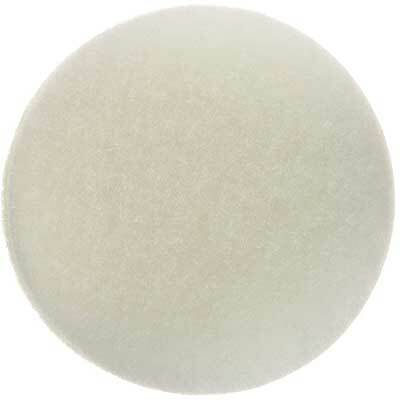 Sponge filters are typically considered medium mechanical filtration. Want clear water? Then fine is what you need. 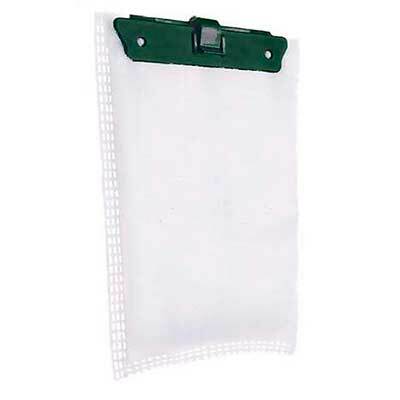 These filters are capable of trapping those really small pieces of waste that float around your aquarium. As discussed before, you will see the best results if you use a coarser filter media before a fine filter media. If crystal clear water is what you are after, then extra fine filters are the best way to achieve it. 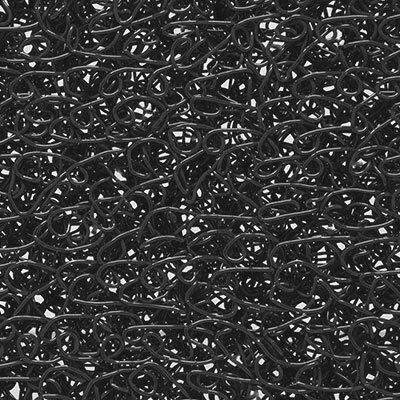 The finest mechanical media can trap particles as tiny as one micron. That’s really small. To put that in perspective, one micron is almost 90 times smaller than the width of a hair. The finest filter media can not only trap tiny pieces of waste, but also parasites and bacteria that you cannot see with the naked eye. Note: The above pictures are for illustrative purposes only. 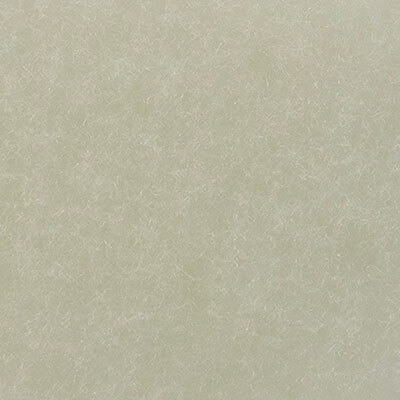 Both the filter material and definition of coarse and fine vary from brand to brand. One brand’s extra coarse may be another brand’s medium. There is no single best mechanical filter media. And that’s not because I am being lazy, not wanting to declare an outright winner. So for me to declare a single winner isn’t exactly beneficial, since you might not achieve the same success. When used correctly, mechanical filter media can successfully trap and remove waste and other debris from the water column. 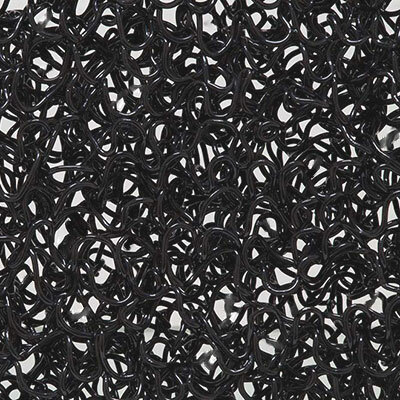 Filter pads are by far the most common type of mechanical filter media available. Coming in a wide range of materials and coarseness, filter pads provide the most opportunities for customization. Filter pads come in rolls that you cut to size. But many brands sell their pads that slide in without any extra effort on your part, although these are often more expensive. 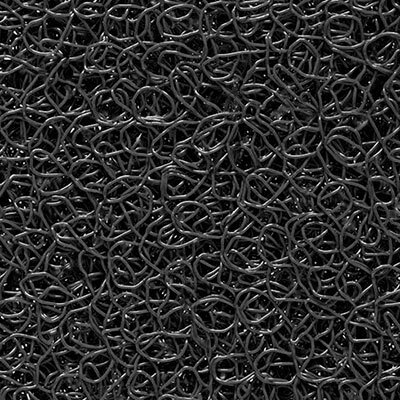 Resembling cotton candy, this mechanical media is made of tightly bunched polyester fibers that are capable of trapping small waste particles and debris. Sponges are typically considered to be better for biological filtration. But if used and maintained correctly, they can also make a great mechanical filter. 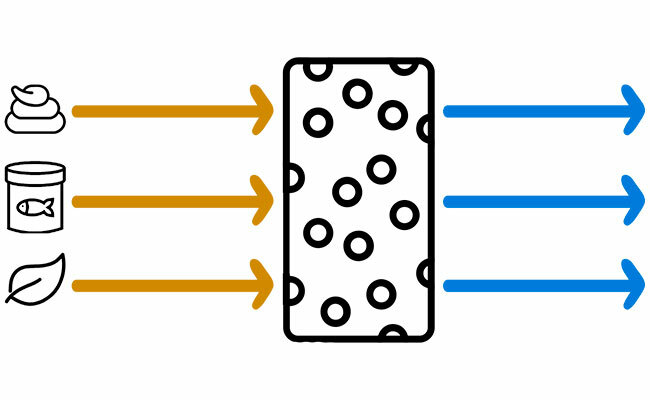 Sponges are graded in pores per inch (PPI). If you want a coarse sponge to remove larger pieces of waste, 10 PPI will do the job. 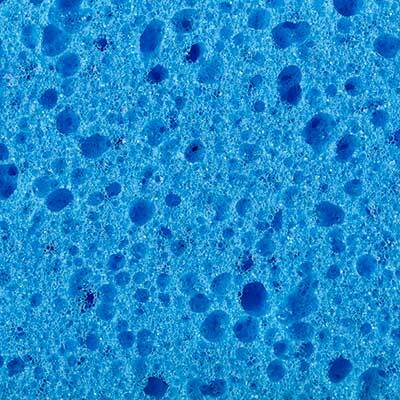 A sponge that is 30 PPI can remove fine particles. It’s best to stick to this range. Anything higher than 30 PPI will clog too easily. Cartridges are elaborate filters designed to fit only one type of filter, locking you into buying replacement filters from that manufacturer for life. While they often work well enough, they are often more expensive than buying the equivalent media and installing it yourself. Cartridges also make it difficult to customize your filtration system. While mechanical filtration is basically essential for a freshwater tank, saltwater tank owners often go without. This is because marine fish and corals are incredibly sensitive to nitrates. Here comes the bad news: Your mechanical filter is going to accumulate bacteria that produce nitrates. It’s a natural part of the nitrogen cycle and without constant maintenance, your filter can do more harm than good. Did you know? Saltwater tanks typically use a combination of live rock, protein skimming and frequent water changes to maintain good water quality. Mechanical filters, when constantly run, can also filter out the floating food pieces that corals eat. But don’t count mechanical filters out just yet. They can still play an important role in maintaining good water quality – just on more of a part-time basis. You see, unless you have particularly sensitive fish, it’s unlikely that you will be running a mechanical filter 24/7 in your reef tank. But if you kicked up a lot of gunk from a careless water change or from moving rock around your aquarium, mechanical filtration is exactly what you need. Turn your filter on temporarily to remove any suspended waste from your aquarium. Once the water is clear, turn it off. When used temporarily, mechanical filtration can be very useful in saltwater tanks. Removing the floating food bits from a messy feeding session or even polishing your water to crystal clear perfection – mechanical filtration can work wonders. Just don’t forget to remove or clean the filter when you are finished to prevent those nitrate problems I mentioned earlier. What do you use as mechanical filtration in your aquarium? Let me know in the comments below! Biological Filtration - The aquarium filter that is ALIVE! Chemical Filtration: Removing What Other Filters Can't! I’ve been trying to find the filtration size floss is capable of. Also, does loose and packed floss make a difference. Although I’ve had aquariums in the past, this is for recycled grey-water use (non-potable). 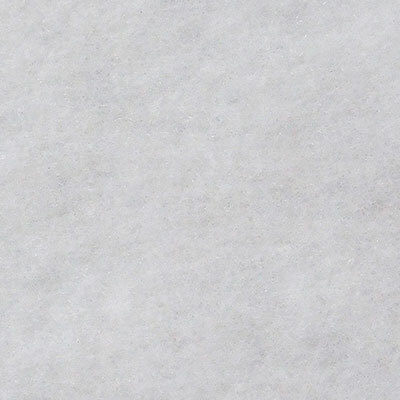 I have a 120 screen mesh rating (120 lines per inch), and I was wondering if floss is more or less than this. Unfortunately, While I live and breath aquariums, my expertise doesn’t really extend far out of this niche. The finest filter floss we use in aquariums as mechanical filtration is around 50 micron, which would be roughly double what you have now. Whether it’s loose or pre-packed, if it says it’s 50 micron, it’s 50 micron. The loose stuff is often cheaper and can be layered, however. I’m an avid fan and been reading lots of informative articles you have and also sharing it with friends that are about to begin this hobby. I’m thinking of making a DIY sump filter so as to not spend more. On mechanical stage of it, I’m planning to use sponge (one we use on dishwashing) then the pads we use also on dishwashing like that of Scotch Brite i guess. So which one should tank water pass first? Hi Abril, if you are using the sponge as filtration in a sump, the order goes coarse to fine. The coarser media will trap large detritus and clog slower, meaning less time between cleaning. It will also ensure the finer sponge lasts longer. Ian, this was a great overview. Thanks for sharing your knowledge. As a beginner, I’m trying to plan the best set up possible for a small tank (30x30x30cm). I’m wondering whether a combination of both the undergravel filter and the modern one would be of any help? I’m intrigued by the best use of ceramic media, that perhaps can go underground and also in the filter hanged on the tank? While you can never have too much filtration, if you are properly stocking your aquarium then you should only need one of the two. And of the two, I would suggest skipping the undergravel filter for the reason that you don’t have to remove your substrate to maintain the others. The biggest limitation you will face is stocking your tank. 7 gallons is quite small and water quality can very quickly turn bad if you overstock it – it won’t matter how many filters you have, it will be a constant battle. Chat with your local fish shop or club as to what they recommend, but you might be surprised how little you should actually stock in a tank this size.